It has been a very busy and successful ‘off-season’ (who ever invented that term never worked for a race team!) 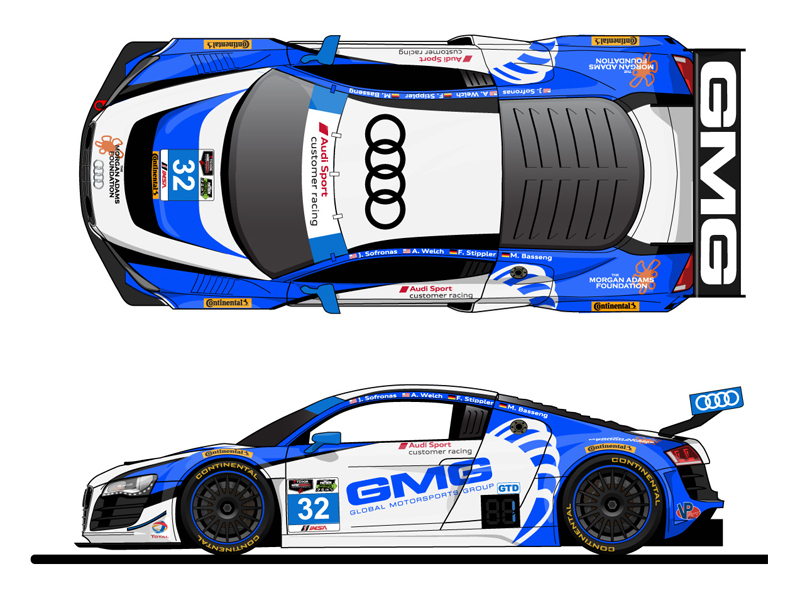 here designing liveries, Spotter Guides, graphics and hero cards, so a quick update on the designs created for this weekend’s Rolex 24 at Daytona! 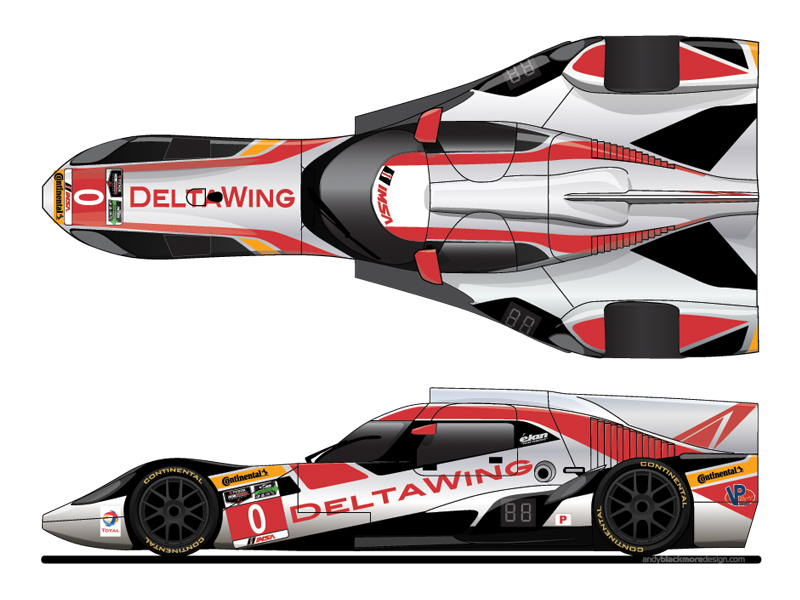 I first worked with Team Manager, Dave Price back in the 90’s on the design of the West McLaren F1 GTR and the original Panoz GTR-1 livery, so it was great when Dave contacted me at the end of last year to design a livery for the DeltaWing Coupe. The client requested the chrome remain, so I worked up a number of designs which cleaned up some of the lines and right angles forward of the side pod and the cockpit. I like to try, where possible to incorporate series sponsor logos and number panels as shown in the strips of yellow for Continental. Quite a challenging car to design because its just so different, but pleased how well it came out. 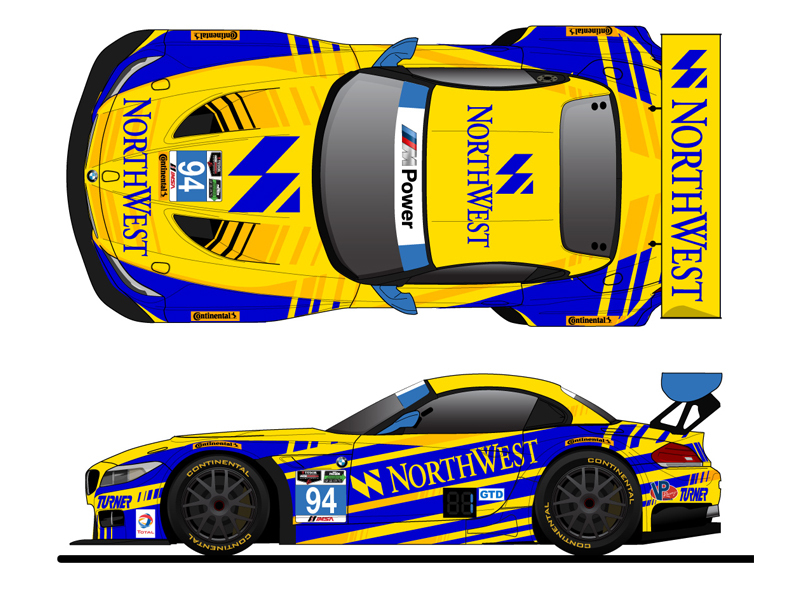 Turner Motorsports wanted to reinvent their livery, but keep the very distinctive bright yellow and blue hues which are a trademark of the BMW Parts and Accessories company. A large (20+) range of concepts were produced from mild updates to extreme before this style was chosen, based off their header bar with the thinner slats at the rear, this is repeated across the car at strategic positions to work with branding and surfaces on the car. For Daytona, extra stripes have been added in reflective. Quite a different approach to my other BMW Z4 liveries (Team Need for Speed Schubert and Saudi Falcons) where I’ve used the body lines of the car. James Sofronas gave me the opportunity to design their new livery which will race in the TUDOR United Sports Car championship, but also form the basis of other race cars in the GMG Stable to form a consistent look across the fleet regardless of sponsor. 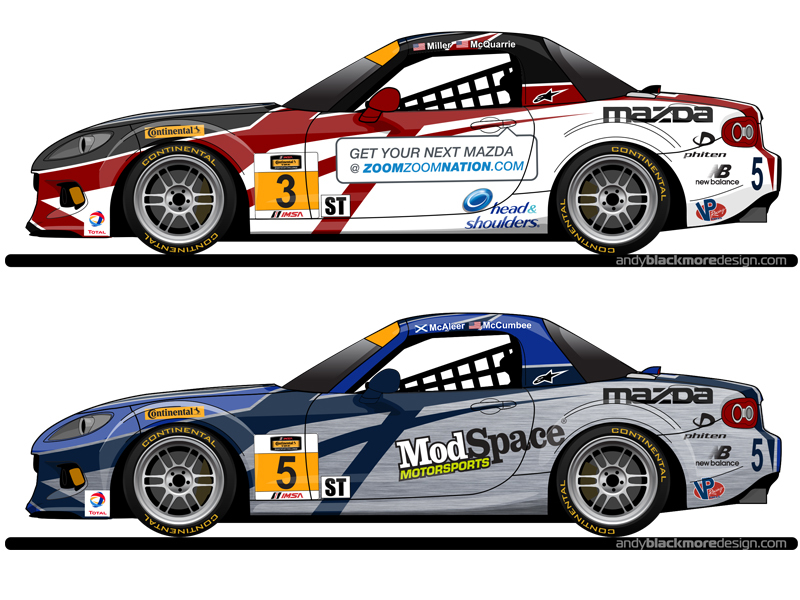 Working with Protective Film Solutions in California and Speedcom Racing in Florida, a new Matte Metallic Blue was chosen which is darker than their 2013 color scheme. The GMG graphic has now been incorporated into the design of the car and for Daytona, will be picked out with a reflective pinstripe. 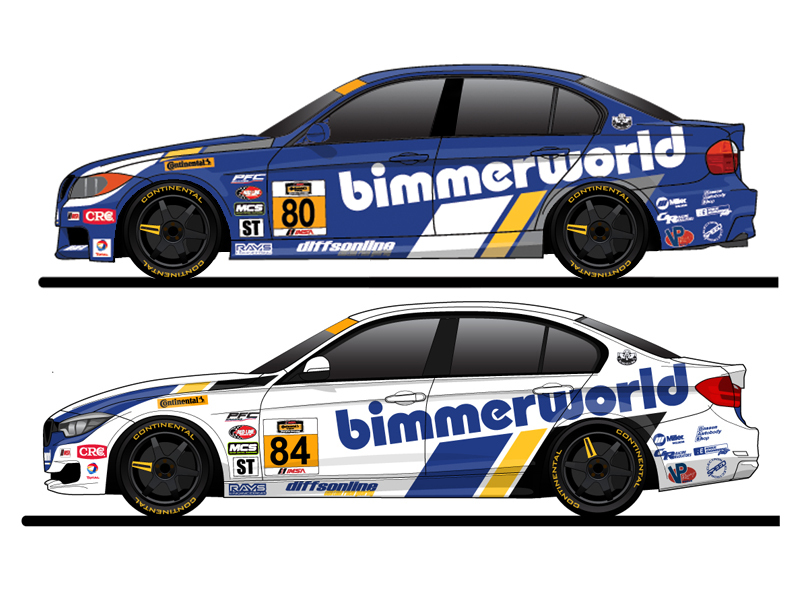 A clean livery which will work across multiple platforms and sponsors. 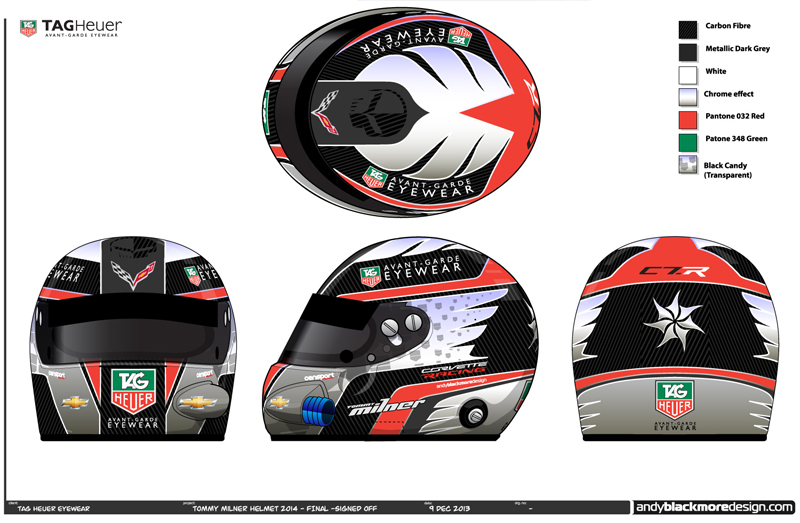 After a well recieved 2013 design, TAG Heuer Eyewear commissioned me again to design a new helmet for 2014. While retaining TAG Heuer Eyewear colors and a high end look, Tommy and the sponsor wanted to brighten the lid up and add chrome. Working with helmet painter, Censport Graphics, multiple design concepts were produced until all parties were happy. MLB star, CJ Wilson has a race winning race team in the Continental Tires Sports Car Challenger which supports the new TUDOR series. For 2014, we updated the basic concept of using his logo along the car, but resizing it to flow over the length of the car and stylizing it to give it a sense of speed. The graphic was also moved and adjusted to maximize negative space for sponsor placement. As is often the case, I like to use different materials and finishes and with Aero Paint as a supplier of CJ Wilson, I chose to retain the Blue Chrome for the #5 car with a Dark Blue gloss and a Matte Aluminium lower section to tie in with Modspace sponsorship. The #3 car, driven by ABD Client, Tyler McQuarrie and Marc Miller uses a Chrome Red vinyl for the CJW logo with a black and white top and bottom to provide contrast. 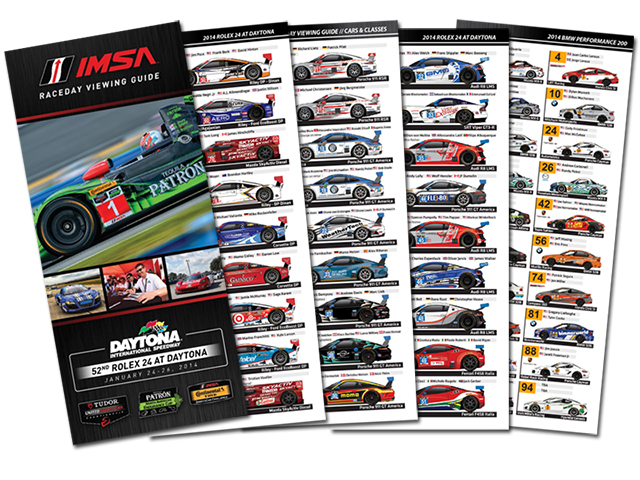 After six successful years of the Official ALMS Spotters Guide, I was commissioned to produce all the Entry List art (aka Spotter guide) for IMSA’s new Fan Raceday Viewing Guide. 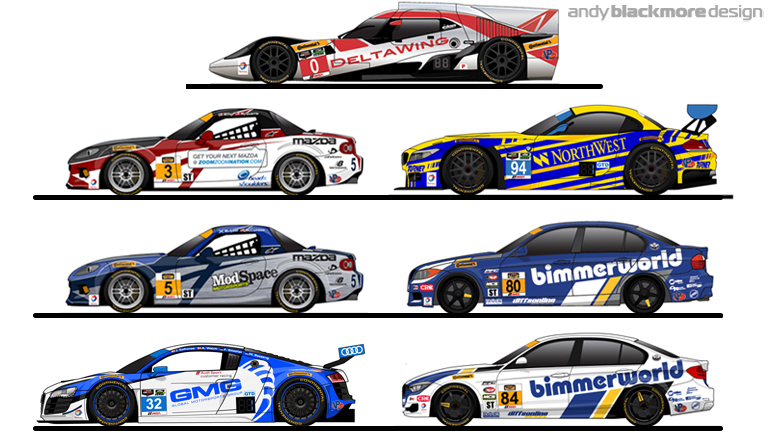 Designed by IMSA, I produced all the car entry art for the TUDOR and Continental Series. Available at the circuit in print form and online HERE, the guide will be updated prior to every race and feature 107 cars. As you can imagine the past six weeks have proved to be very busy, but eternally grateful to the vast majority of teams who helped supply the guide despite their own challenges of preparing for a news series. The car line drawings have also been used by IMSA for class explanation pieces online and this coming weekend on the Fox Sports network this weekend. 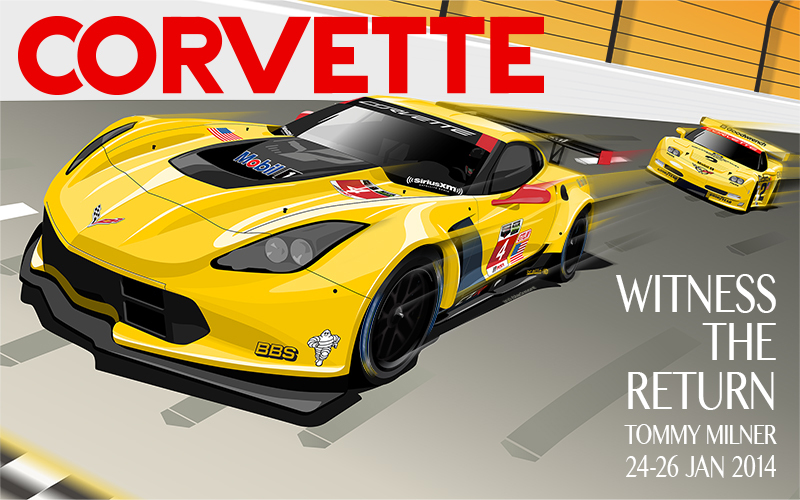 In addition to the Tommy Milner helmet, I produced an art piece for TAG Heuer Eyewear to celebrate Corvette and Tommy Milner’s return to the famous track. The C7.R leads the C5.R which won in 2001 on the banking and is inspired by classic race posters of the Monaco GP and Le Mans. The first of a series of posters featuring the old and new. This was good fun to draw up…even it it took an age! 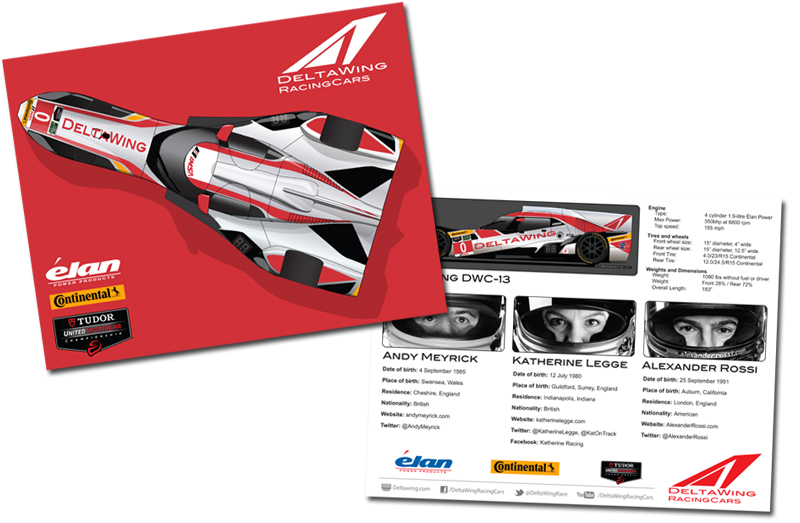 I also assisted in other design work this year with logo design and a number of Hero Cards, my favourite being this DeltaWing Card which uses my art on the front (as the car wasn’t ready) and cropped helmet shots of the drivers on the rear. So, that brings you up to date. Attention now turns to the European season, Indycar and Formula Drift. Please do not hesitate to contact me if you want a livery or other graphic work to stand out against your competition. 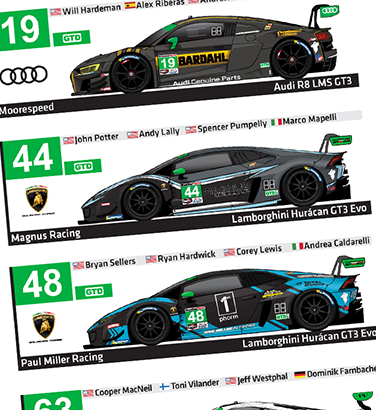 I also plan on releasing more Spotter Guides including WEC, Le Mans and Formula One. If you, your partner or series would like to partner with a guide and get your brand into the hands of thousands of core race fans, drop me a line. Guides can form a booklet such as the Tudor guide, a traditional Download JPEG or PDF or even used as an App. In 2013 the car artwork was also used for merchandise and TV on screen displays. Thanks for your support and wish you all the very best in your racing exploits in 2014!